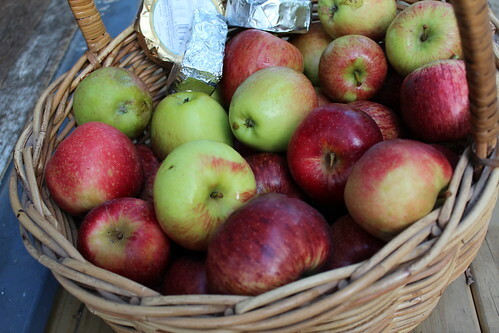 Apples are included in a lot of jam recipes – not usually as the star but as the supporting act. They are great to stretch out a small quantity of more expensive fruits. 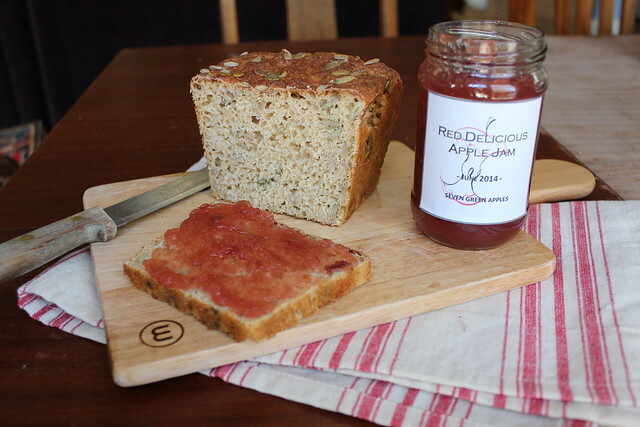 However apple jam, with apple as the star, is also possible. There are many recipes for Caramel Apple Jam, Apple & Vanilla Jam, Apple Pie Jam – they all sound delicious. 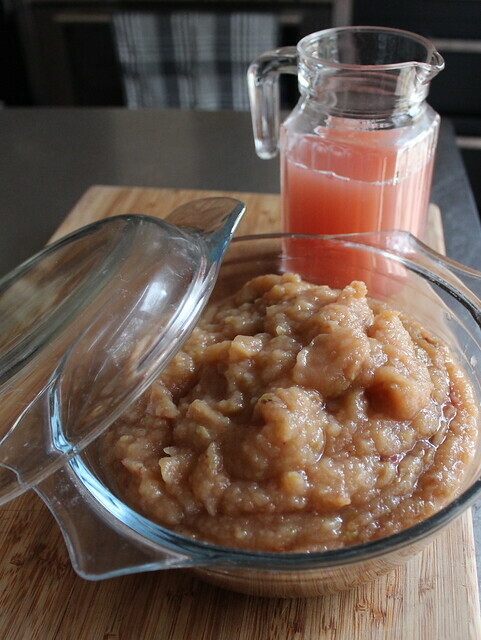 I couldn’t find an Apple Pie Jam recipe without added-pectin – apples are really high in pectin so I don’t know why extra pectin is required. Stay tuned for Apple Pie Jam with no added pectin. Saturdays are home days – days I try not to leave the house, days where my hair can frizz up and not bother anyone, least of all me. But then Miss M, who had a lunch date with the three J’s (a lot of her school mates seem to have names beginning with J (or G which is almost the same)), asked for a lift into town (it was raining). If I had to go out I may as make the most of it and go to the Gisborne Farmers Market and buy some supplies.